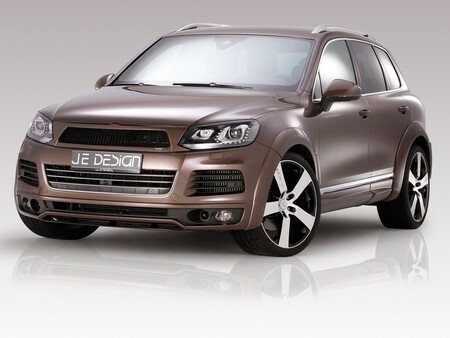 JE Design’s new widebody kit for the VW Touareg is one of the coolest, and one of the most thorough yet. The looks is heavily enhanced with a kit consisting of front grille, revised bumpers, chin spoiler, fog lights, side skirts, flared arches, rear diffuser and four tailpipes. The interior too gets loads and loads of Alcantara, while 22-inch wheels and 35mm lowered suspension enhance the exterior even further. The 4.2 liter V8 TDI benefits from an upgrade too, from 340 hp to 410 hp and 900 Nm of torque, which means 0 to 100 km/h in 5.8 seconds and top speed of 269 km/h.